The memorial to the 716 Lowestoft men (out of a population of about 40,000) who died during World War One is on the Royal Plain between the Royal Norfolk and Suffolk Yacht Club, the East Point Pavilion and the South Pier. It was dedicated 'To the Glorious Memory of our Honoured Dead' and was unveiled by Admiral of the Fleet Lord Wester Wemyss on 11th August 1921. Sadly the nature of the memorial means that the names of those commemorated are not visible. A list of the names is contained within the memorial but any relative visiting would not find their relation's name displayed. 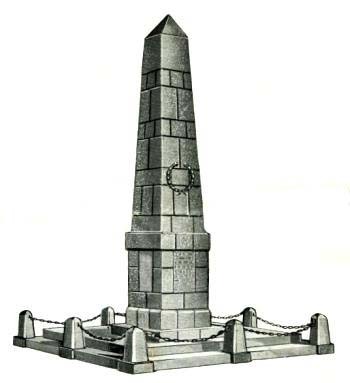 The names were listed in the souvenir programme published for the unveiling and dedication of the memorial, a copy of which is reproduced on the following pages. NOTE: The general order in which the names are listed in the programme is loosely alphabetical but within each letter of the alphabet the order appears somewhat haphazard. If you cannot find a name that you are looking for please check on the adjacent pages.